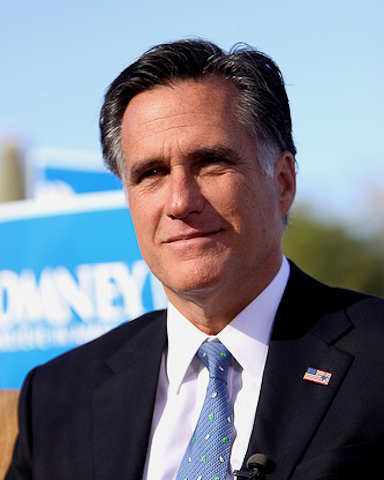 In 2008 and 2012, I wrote articles contrasting the two Presidential candidates’ positions on infrastructure and science, with an emphasis on water and environmental issues. Here I’d like to reprise that article with the current candidates, Hillary Clinton and Donald Trump. As with my previous articles, my primary sources are the candidates’ websites and the Science Debate website. On the Positions/Policies page of the Trump website, there are 15 issues listed. Perhaps the most science-related issue listed is energy. 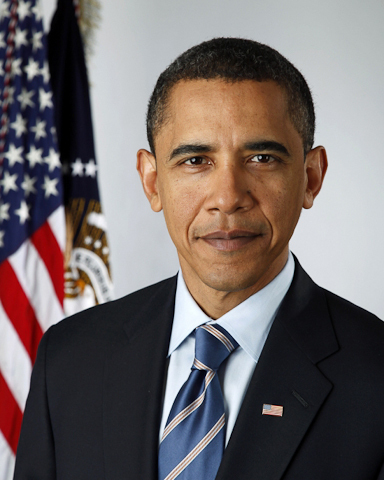 However, on his Energy page, Trump does not talk about science but rather gives a bullet-point list of his vision to create new jobs, declare “energy dominance,” develop untapped hydrocarbon reserves (including leasing on federal lands), become energy independent, encourage the use of natural gas and “other American energy resources” to reduce emissions and reduce the price of energy, and rescind “job-destroying Obama executive actions.” More than half the page is spent not on Trump’s proposals but on a “contrast with Hillary Clinton.” This contrast with Clinton is a bullet-list of Clinton’s and President Obama’s actions and quotes. While two of these cite independent publications as source material, several give no citation, and the rest cite Trump’s own press releases. The Trump website does have an Infrastructure page. Again, it consists of bulleted lists, though on this page his list is considerably longer than the contrast-with-Clinton list. 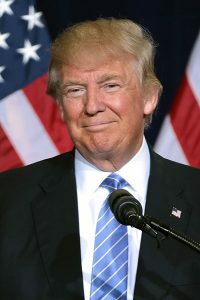 Some of the key points of Trump’s infrastructure vision include: pursuing an “America’s Infrastructure First” policy to support transportation, clean water, electrical grid, and other domestic infrastructure needs; providing flexibility to the states; using American steel; leveraging new revenue sources such as public-private partnerships; linking increasing in spending to permitting reforms (and cutting “wasteful spending on boondoggles”); employing incentive-based contracting; and incorporating new technologies. As I did for the previous elections, I wanted to search the candidates’ websites for certain words. A Google search of Trump’s website (all Google searches accomplished earlier today) for the word “science.” The search returned 73 results. Looking at the first page of results, none deal with policy matters related to science. Most the results relate to statements made by political science professors. The only result remotely related to science is an endorsement by Congressman Lamar Smith, the House chairman of the Science, Space and Technology committee. A search for the word “environment” returned 118 results. Only one result on the first page deals with a Trump policy related to the environment – a press release of a speech given in North Dakota concerning his “American First Energy Plan.” In the press release, Trump states he will “solve real environmental problems in our communities like the need for clean and safe drinking water.” He describes his 100-day action plan, which includes lifting moratoriums on energy production in federal areas, revoking policies that impose unwarranted restrictions on drilling, cancelling the Paris Climate Accord, and rescinding “all the job-destroying Obama executive actions including the Climate Action Plan and the Waters of the U.S. Rule.” He states he will accomplish his 100-day plan all while “taking proper regard for rational environmental concerns“ and conserving natural habitats, reserves, and resources. (Of the remaining results on the first page, one deals with Steve Forbes stating Trump will create a positive environment for business; the rest deal with Clinton’s position on the TPP). The issues page of Hillary Clinton’s website lists 41 topics including one concerning infrastructure, one about climate change, and one about technology and innovation. The Infrastructure page briefly describes Clinton’s plan for a $275 billion, five-year plan to rebuild the nation’s infrastructure. The page only gives a summary of her plan, but does link to a related, detailed fact sheet. The summary discusses repairing and expanding roads and bridges, lowering transportation costs by expanding public transit, connecting all Americans to the internet, building world-class airports, and building an energy infrastructure for the 21st century. The fact sheet provides additional detail on her improving aging drinking water and wastewater systems, including creating a national infrastructure bank to provide loans, loan guarantees, and other forms of credit for infrastructure projects including water systems. Unlike the other issue pages, Clinton’s Climate page does not link to one separate, more detailed fact sheet, but rather to six separate fact sheets on various proposed policies related to climate. Clinton calls climate change “an urgent threat and a defining challenge of our time.” Upon taking office, she says she will set “bold, national goals that will be achieved within 10 years.” These include generating enough renewable energy to power every home in America, cutting energy waste in the country by one third, and reducing American oil consumption by one third. Her plans call on living up to American pledges made at the Paris climate conference and reducing greenhouse gas emissions by up to 30% by 2025. Clinton specifically intends to “extend smart pollution and efficiency standards,” start a $60 billion Clean Energy Challenge, invest in clean energy infrastructure, reform leasing of public lands and waters and expand related clean energy production tenfold, cut methane emissions, ensure responsible traditional energy production, and more. A Google search of the Clinton website for the word “science” returned 170 results. Unlike in Trump’s search results, all the first page results relate directly to science. There are links to her technology and innovation initiative (discussed above), comprehensive plans for coal, several links to climate change fact and policy sheets, and links concerning her support for science education. The Google search of the website for the word “environment” returned 241 results. Again, all the results on the first page deal directly with the environment. Several results link to her positions on environmental racism and environmental justice. Others link to pages concerning clean power, protecting wildlife, and climate change. ScienceDebate.org was started several Presidential elections ago to invite the candidates for President to address science issues. Again this year, the organization invited thousands of scientists and engineers to submit science-related questions of concern to the nation. ScienceDebate worked with leading science and engineering organizations (including the American Geosciences Union, the American Society of Civil Engineers, and the University of Washington) to refine, by consensus, the questions into the 20 most important science policy questions facing the country. Both Clinton and Trump, as well as Gary Johnson and Jill Stein, supplied answers. Topics covered innovation, research, climate change, energy, education, water, vaccinations, space, scientific integrity, and more. The long-term security of fresh water supplies is threatened by a dizzying array of aging infrastructure, aquifer depletion, pollution, and climate variability. Some American communities have lost access to water, affecting their viability and destroying home values. If you are elected, what steps will you take to ensure access to clean water for all Americans? Chronic underinvestment in our nation’s drinking and wastewater systems has sickened and endangered Americans from Flint, Michigan, to Ohio and West Virginia. Outdated and inadequate wastewater systems discharge more than 900 billion gallons of untreated sewage a year, posing health risks to humans and wildlife life, disrupting ecosystems, and disproportionately impacting communities of color. In addition, many struggling communities around the United States have limited or no access to clean, safe water. We will invest in infrastructure and work with states, municipalities, and the private sector to bring our water systems into the 21st century and provide all Americans access to clean, safe drinking water. Climate change is also triggering changes in weather patterns, including the increased prevalence of long, hard droughts that pose a dire risk to the health and prosperity of American communities, particularly in the West. The federal government must become a better partner in supporting state and locally-led efforts to improve water security. To that end, we will create a coordinated, multi-agency Western Water Partnership to help fund water efficiency, consideration, and infrastructure modernization projects across the region, including significant new investments in water reuse and reclamation. We will also work to bring cutting edge efficiency, treatment and reuse solutions to our nation’s water challenges by establishing a new Water Innovation Lab. The Lab will bring urban water managers, farmers and tribes together with engineers, entrepreneurs, conservationists and other stakeholders to develop practical and usable technologies and strategies that can be deployed by local water utilities, agricultural and industrial water users, and environmental restoration projects across the country. This may be the most important issue we face as a nation for the next generation. Therefore, we must make the investment in our fresh water infrastructure to ensure access to affordable fresh water solutions for everyone. We must explore all options to include making desalinization more affordable and working to build the distribution infrastructure to bring this scarce resource to where it is needed for our citizens and those who produce the food of the world. This must be a top priority for my administration. The rest of the questions and answers on ScienceDebate are equally interesting and enlightening. Trump photo provided by Gage Skidmore under a Creative Commons license. 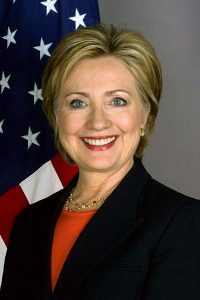 Clinton photo is her official Secretary of State portrait and is in the public domain. 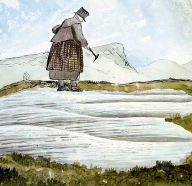 Mary Anning (1799 – 1847), a fossil hunter from Lyme Regis on the south coast of England, is credited with discovering many new fossils, including Ichthyosaurus. Florence Bascom (1862 – 1945) was the first woman hired by the U.S. Geological Survey and the first woman member of the Geological Society of America. And the wonderfully named Maria Matilda Ogilvie Gordon (1864 – 1939), who studied and mapped the Dolomites mountain range of Austria and Italy. She was the first woman to earn a Doctor of Science degree in Britain in 1893. On the same note, the History of Geology blog talks a bit about the historic challenges of doing field work faced by these and other women pioneers in the geosciences. There are many, many more women in the geosciences that deserve similar recognition, both now and in the past. It is truly inspiring to learn about these women and their key contributions to science. As a starting place to learn more, the British Geological Survey has developed a timeline of women in geology from 1770 to present. In 2008, I wrote an article for our newsletter contrasting the two Presidential candidates’ positions on science with an emphasis on water and environmental clean-up issues. Here I’d like to reprise that article with a review of how President Obama and Mitt Romney address these issues. As with my previous article, my primary sources are the candidates’ websites and the Science Debate website. One question our hydrogeologists are commonly asked about problem wells is “Where has our water gone?” A very interesting question and one that is much harder to answer then you might think. Our newsletters over the years have discussed some of the ways in which the groundwater industry has changed, but one thing has remained constant-the need for good quality water level data. Robinson Noble has assisted numerous water purveyors with the development and implementation of well field monitoring plans designed to provide good quality data and foster proactive aquifer management. Generally, these monitoring plans have focused on the collection of long term aquifer water levels and production data. However, monitoring plans can also be tailored to a specific well or aquifer concern.